Blitz the bananas, eggs almond milk and hazelnuts in a blender or Nutri-bullet for a couple of seconds. Put the oats, sunflower seeds, chia, salt and baking powder in a bowl and mix. Then add the wet ingredients to the dry. 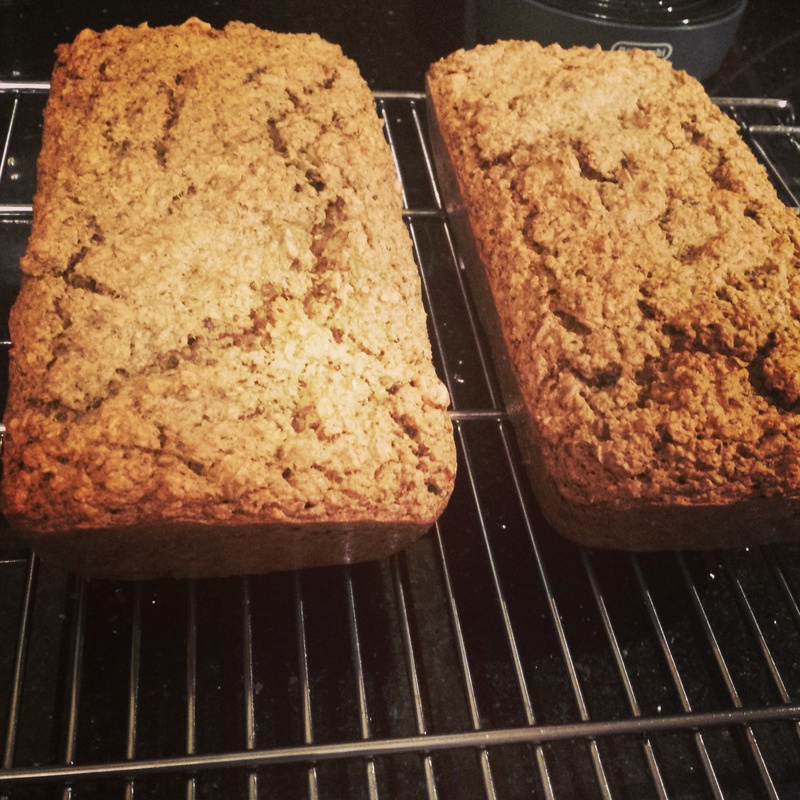 Put into 2 loaf tins that have been sprayed with Frylight Coconut. Bake in the oven at 180C for 35 mins. *For those people like myself that find the banana a little bit too banannaeeey and can tolerate spelt flour I recommend replacing the banana with 100gms Wholemeal spelt & 100g White spelt, 2 teaspoons sugar and 200mls buttermilk/and reduce the Almond milk to 300mls. The rest of the ingredients are the same. 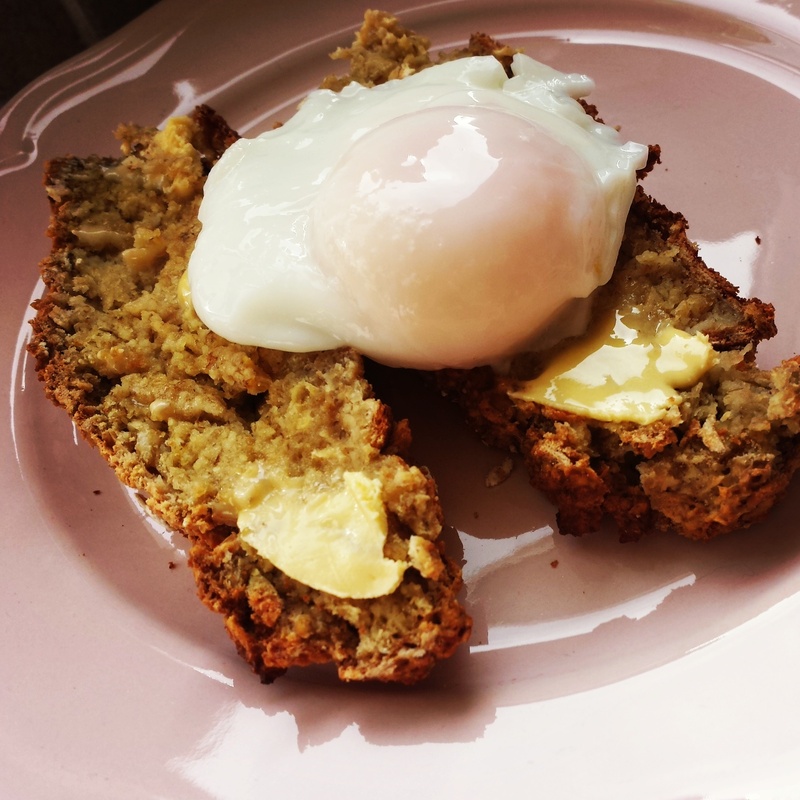 I find this texture much more like real soda bread and has a better nom factor! 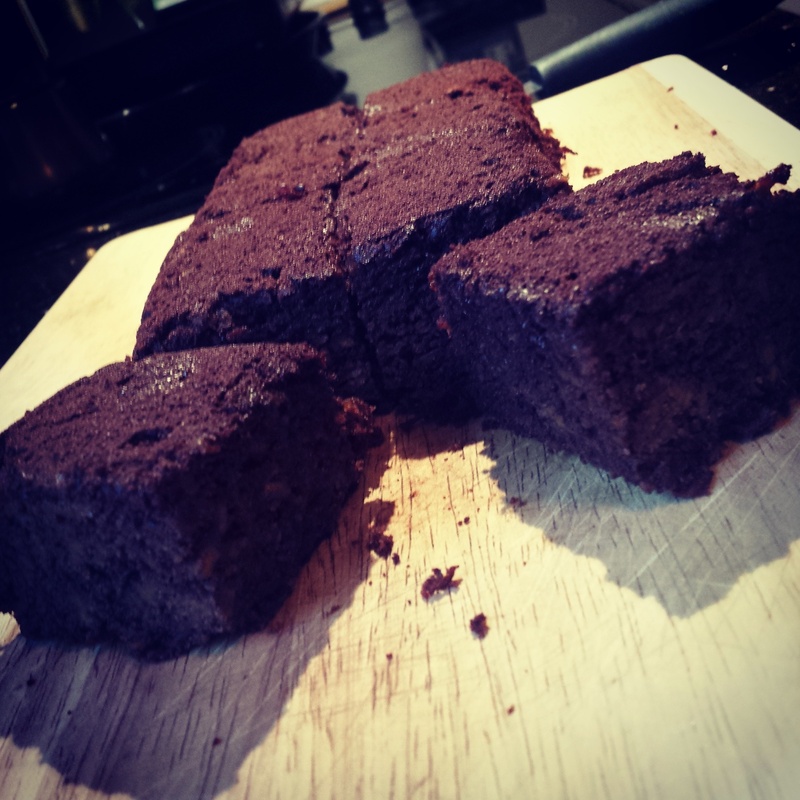 If you can’t tolerate spelt flour you could use self raising gluten-free flour instead. A twist on the classic, this is a healthier brownie that uses sweet potatoes, they add slow release energy and have a great texture without overpowering the taste. Not so naughty but really really nice! Line a small square tin 25cm x 25cm with parchment paper or a loaf tin. Combine the eggs, grated sweet potato, melted coconut oil, honey and vanilla extract in a large mixing bowl and stir together until they are well mixed. Add the Cacao powder, baking powder, baking soda & Xylitol and stir. Finally fold in the coconut flour until combined. Pour the mixture into the lined baking tin. 180°C for 25 to 30 minutes, until a skewer inserted into the centre comes out clean and dry. Cool on a wire rack. Cut into 6 even sized squares. Dust with a little cacao powder or melt some dark chocolate and drizzle over the top. Serve with a dollop of Greek yogurt. I like to mix the Greek yogurt with a little honey. 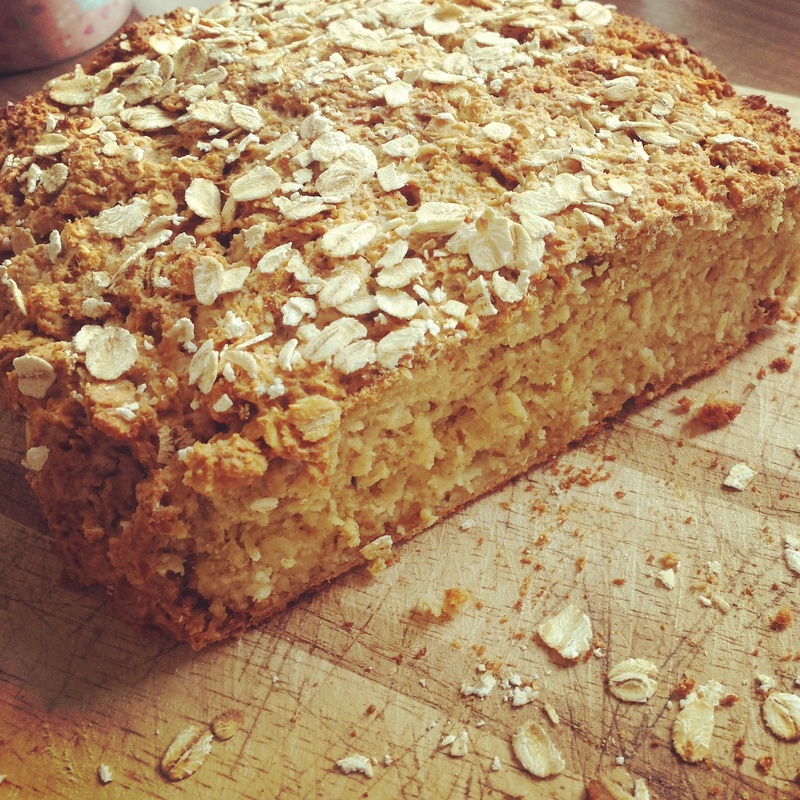 My first attempt at making soda bread that was both gluten-free and low GI was undoubtedly a success! Always the skeptic I saw the ingredients and thought…mmm there is no way this will taste like or even resemble the wonderful Irish soda bread that I longed for. Much to my surprise, it did. Thanks to my wonderful auntie Maureen for sharing this recipe with me. I won’t be buying any more shop bought GF breads from now on! Use a 9 inch square baking tray preferably, that has been coated in butter. or any flat tray you have will do. Empty your yogurt into a large mixing bowl. Fill the empty container with oats. If you have time it is best to break up the oats a little smaller, this can be done with your hands. Add the soda and salt and mix thoroughly. Then bring the mixture together into the shape of a square with your hands. Place into the baking tray and at this point you can sprinkle more oats on top or sunflower seeds if you wish. For those who are not gluten intolerant I suggest topping with milled bran as this adds more texture and crunch. Heat the oven to 220°C. Place the flour and salt in a mixing bowl: make a well in the centre with a wooden spoon. Drop the egg and half the milk and water mixture into it. 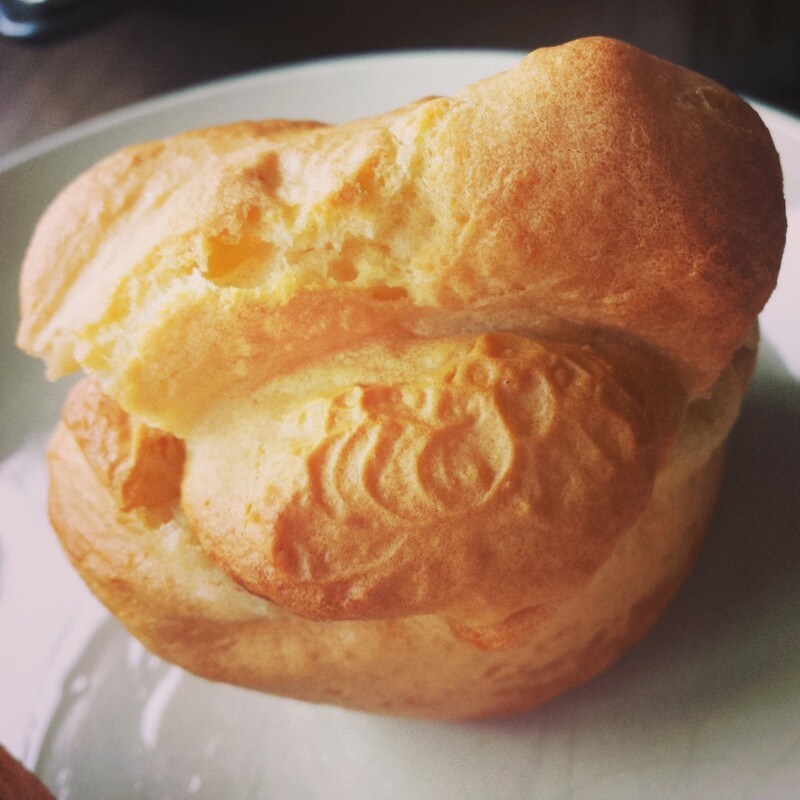 Gradually work the flour into the egg and milk and water mixture to form a smooth creamy texture. Slowly add the rest of the milk and water mixture and then beat well. Heat the oil in 8-10 patty tins or in a 23 x 18cm tray in the oven. When the oil begins to smoke, pour in the batter two thirds of the way as they do need room to rise. Bake in the top of the oven until well risen and brown; about 20 minutes. Serve immediately with your roast dinner. You will also need an 9 inch round loose-based cake tin, greased, with a non-stick base liner. First, remove the zest from the outside of the oranges and cut the oranges into halves for juicing. Put all the other cake ingredients into a large bowl and use an electric hand whisk to whisk everything together until smooth. Add the Orange juice and zest and mix for a further minute. Spoon the mixture into the prepared cake tin and smooth the top with and smooth the top with a spatuala. Bake for an initial 10 minutes at 200°C and then turn the temperature down to 180°C for a further 30 minutes until the cake is golden brown and springy in the centre. 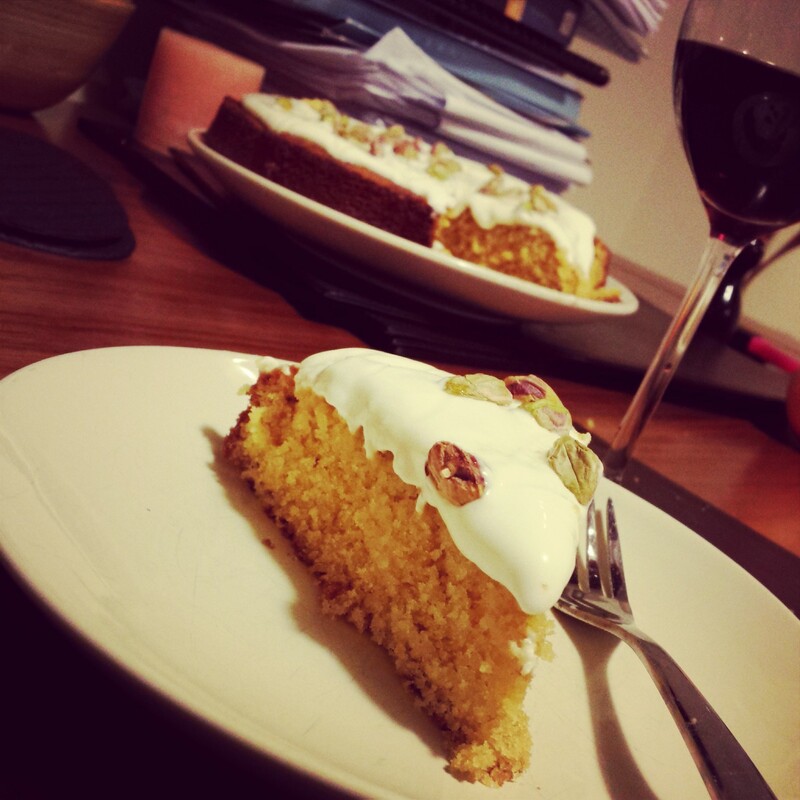 You may find that your cake has shrunk slightly from the sides of the tin, this is perfect. If you find the cake is browning too quickly reduce the heat to 150°C and cover the top with tin foil for the last 10 minutes. Combine the honey and 5 tablespoons water with the marmalade, place it over a gentle heat, whisking continuously. Bring it up to simmering point and let it simmer gently for about 5 minutes. After that, take the pan off the heat, and stir in the orange and lemon juices. Cool the cake on a wire rack for 5 minutes, then remove it from the tin (leaving it to cool will ensure the cake doesn’t break apart) with a large plate underneath. Make a few holes all over it with a skewer before pouring the syrup over the cake slowly allowing it to absorb all the syrup, this will make the cake lovely and moist. 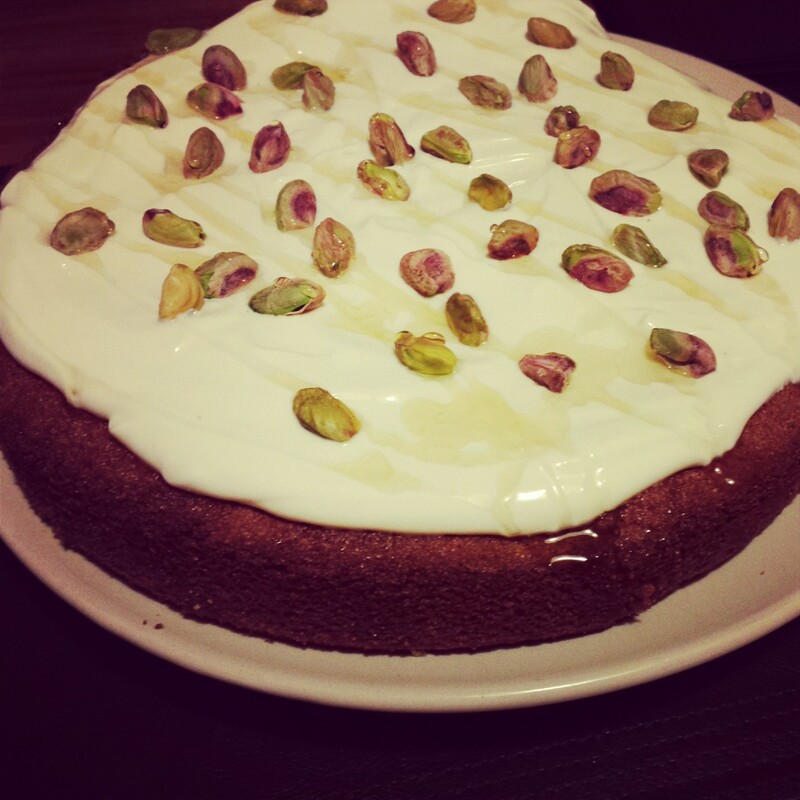 When the cake is completely cooled, place it carefully on a serving plate and spread with the Greek yougert, sprinkle the pistachios on top and drizzle over the honey and it is ready to serve. This cake should provide 8-10 slices and should be covered and kept in the fridge. It was a perfect treat for me and a break away from the books.